Hello Friends after a long time we have brought a new Car story for our valuable readers .Looking towards the next 100 years, each and every Rolls-Royce will be a unique work of art. 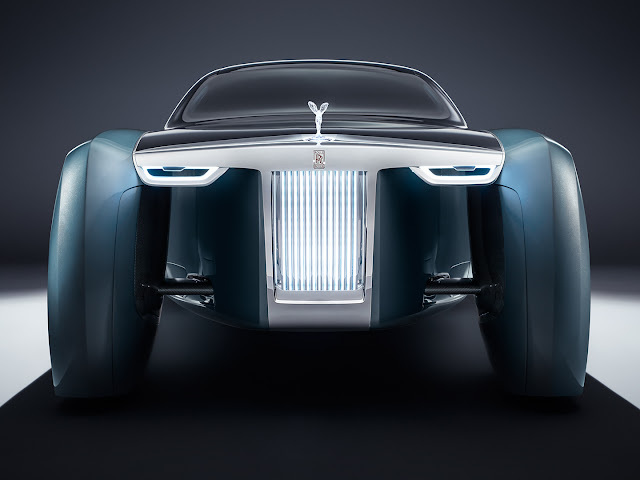 Rolls-Royce 103EX is first ever vision vehicle, and embodies just one of the endless possibilities that awaits. A personalized icon for the future, providing a asylum of calm in an ever-faster world. The pinnacle of effortless autonomous travel, gliding silently through the cities of tomorrow. 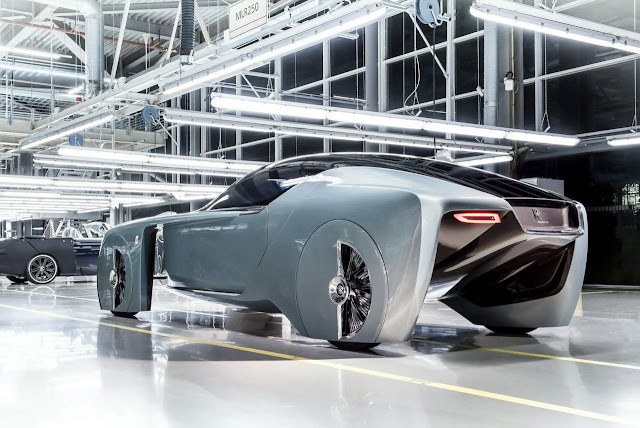 This is Rolls-Royce VISION NEXT 100. According to Dwheels "Its look like a Spaceship more than a Car" or may be in coming years it will bring us to other planets on holidays, Jokes apart the design of 103EX is unique and it seems a Luxurious Chariot. For over 100 years, Rolls-Royce Motor Cars has been pushing the boundaries of luxury mobility. They has defied the impossible and engineered timeless works of art. Now, they are on the cusp of making history again. Imagine a future where each Rolls-Royce is as unique as your own fingerprint. Dimensions, form, space and materials – the drawing board is limitless, and you are the architect. 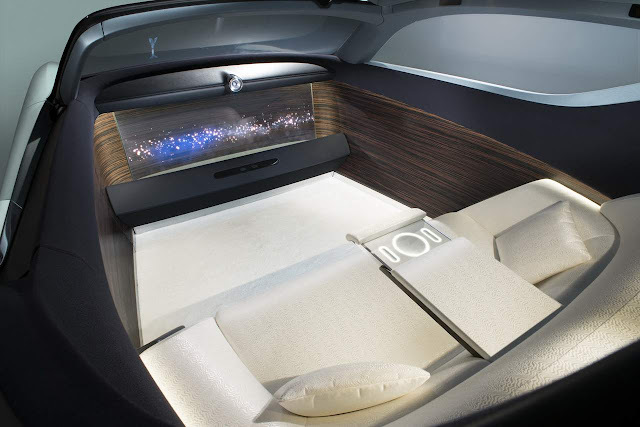 In a future where transport is commoditized – void of beauty, space and form – Rolls-Royce will stand apart. A beacon of luxury that’s distinctly modern, and yet glows with a timeless glamour. 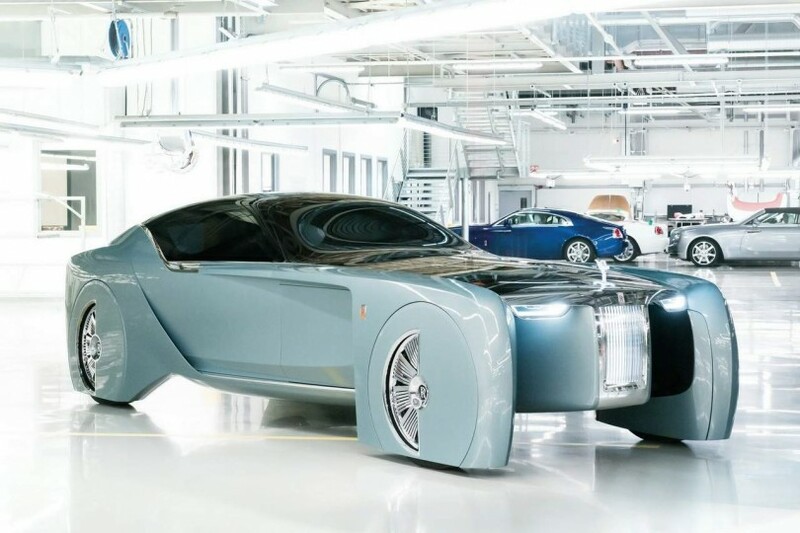 Each Rolls-Royce will be designed less like a car, and more like an individual sculpture made from one seamless surface. Fluid curves sing with warmth, romance and opulence. This is a presence that proudly announces its arrival, and lights your entrance with a personal red carpet. The entire roof canopy opens up to an inner sanctum, before effortlessly enveloping you. Sink back into expanses of bespoke, rare materials. The skylight is your panoramic observatory, inspiring awe and wonder. The only sound is the hushed beat of your own heart. It’s no secret that the future belongs to self-aware, autonomous vehicles. But for the first time, Rolls-Royce will give artificial intelligence a name, a soul and a purpose. Her name is Eleanor. For over a century, the Spirit of Ecstasy has silently graced every Rolls-Royce. Now, she has a voice. Her vital spark lives within the very fabric of your vehicle: driving you, guiding you, discovering the world with you. Eleanor intuitively complements your personality, becoming a true companion. Watch this video you may definitely Love this luxurious Idea.